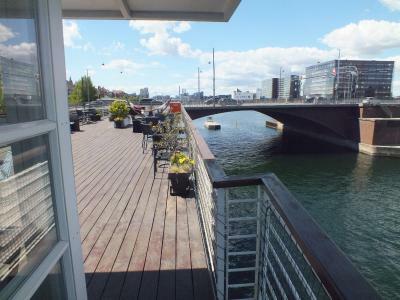 Lock in a great price for Hotel CPH Living – rated 8.5 by recent guests! 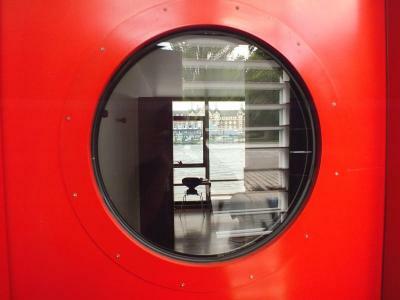 The design of the "hotel". The location on the river. LOVED the location and the harbor-side views! Waking up to kayakers in the water in front of us was fantastic! Being able to eat on the upper level deck was a treat. The staff couldn’t be nicer. Shower was awesome! 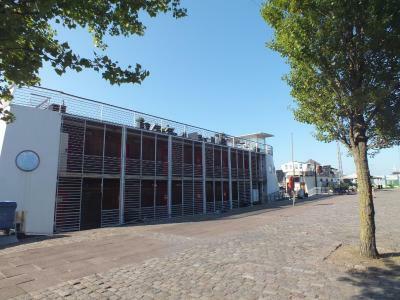 This is a unique small hotel built on a floating barge on the canal. Excellent views from the room and from the rooftop lounge area. If we had time this would have been a great place to relax and chill. There is no elevator so if you are on the top (2nd) floor it's a bit of a bag drag. No AC but that was not a problem as the fan in the room was sufficient and the evening cooled down nicely. Breakfast is just continental, but really it would not be practical to try to provide a full breakfast for only 12 rooms total. Good location. The facilities in the room were all very nice and somewhat unique . A real fun place to stay. I would definitely stay here again. It was not as new as photos on line depict, but still enjoyed this stay. Very interesting, but glad we were on ground floor as upper floor is a winding stairwell if you have large, heavy or awkward luggage. Location, Location, Location. Views. Top deck lounge area. Boat feeling. Unique idea. Great manager Henrick was so helpful and knowledgable. We really enjoyed him and having his advice. What a great stay. Convenient. 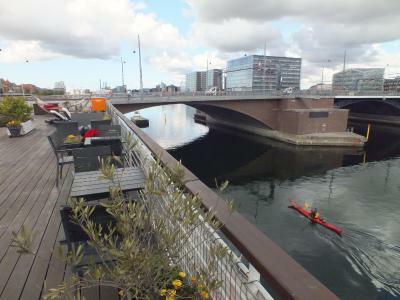 Easy walk to Tivoli, Glyptotech, Christiania, christianshavn. 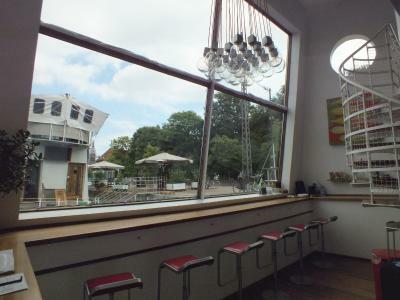 Restaurant/bar fave was easy walk Badudlejning cafe - Christianshavn- on the small canal. Great for a beer and meal. Limited menu. Enjoyed waking to pulse of the city. If you need lots of quiet and privacy look elsewhere. Being right on the water was wonderful in terms of view and location. The room was furnished well although we would have liked an additional chair. The sun deck was great. it was hot for Denmark when we were there and the breeze and view were very much appreciated. You can't beat the views and the bread at breakfast was delicious. 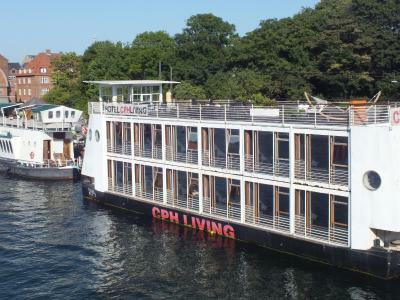 Hotel CPH Living This rating is a reflection of how the property compares to the industry standard when it comes to price, facilities and services available. It's based on a self-evaluation by the property. Use this rating to help choose your stay! 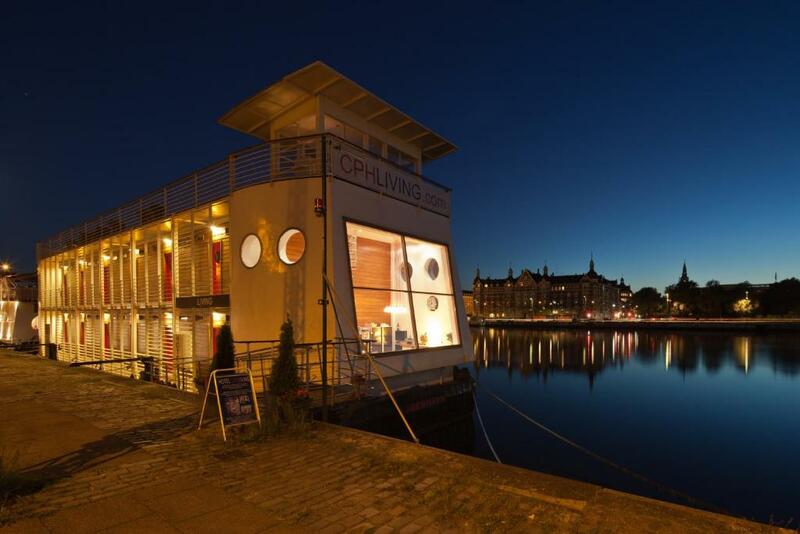 A 15-minute walk from Copenhagen Central Station, this boat hotel offers modern accommodations with a flat-screen TV and free WiFi. 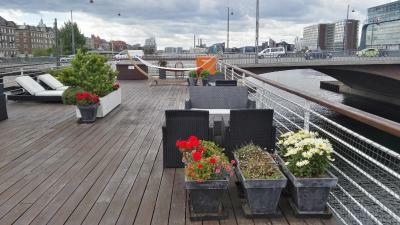 It features a furnished sun deck with amazing city views. 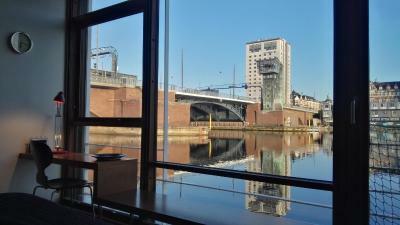 The bright rooms at Hotel CPH Living have wooden floors and a work desk. 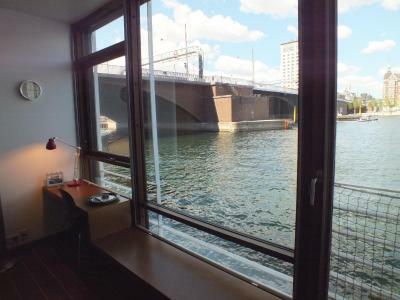 Large floor-to-ceiling windows provide attractive views over the water and city. 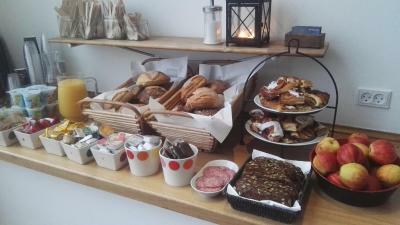 A characteristic Danish breakfast is served every morning. Free tea/coffee is available all day. CPH Living guests can store food and beverages in the shared refrigerator. 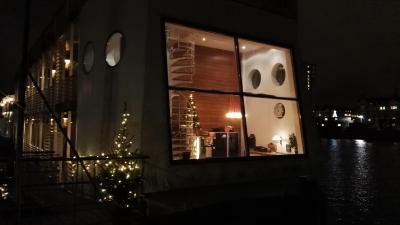 Klaksvigsgade Bus Stop is 1,000 feet from CPH Living Hotel, while Christianshavn Metro Station is within 10 minutes’ walk. Staff can recommend area attractions such as Tivoli Gardens, which is a 15-minute walk away. 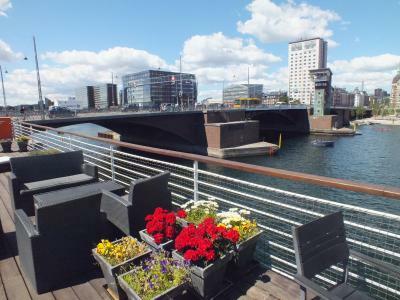 When would you like to stay at Hotel CPH Living? Bright, modern room with wooden furnishings and a flat-screen TV. Large floor-to-ceiling windows provide sea and city views. 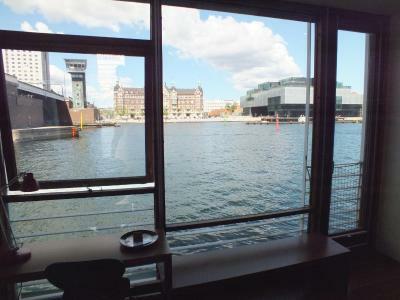 Public parking is available at a location nearby (reservation is not possible) and costs DKK 17 per hour. 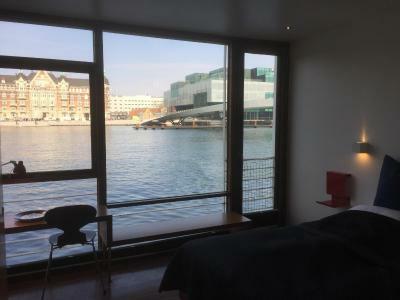 House Rules Hotel CPH Living takes special requests – add in the next step! Hotel CPH Living accepts these cards and reserves the right to temporarily hold an amount prior to arrival. Guests arriving later than 6 p.m. are kindly requested to contact the reception prior to arrival. Contact information is included in the booking confirmation. Please note that payment is requested upon arrival and that the hotel has no meal services. Please note the hotel charges an additional fee when paying with a foreign credit card. 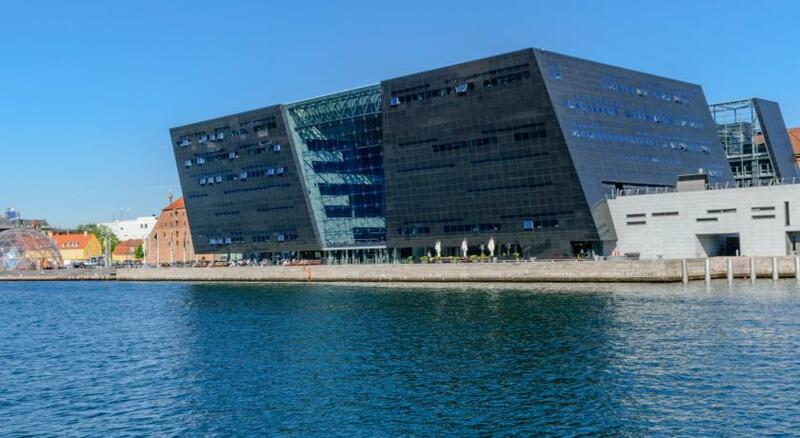 Please inform Hotel CPH Living of your expected arrival time in advance. You can use the Special Requests box when booking, or contact the property directly using the contact details in your confirmation. Excellent accommodation, couldn’t ask for anything more. I missed the user manual for the Satellite-TV. In the morning I found out, that the so called "hotel" is a bed & breakfast - because there isn´t any kitchen. This found out by a breakfast with a very ordinary choice of plastic packed marmelade (butter, honey, Nutella...) and cheese. This served with wooden cutlery and with plastic plates, the bin nearby.... The assortment on bread was nice and from a good quality. Everything was just fantastic !!! The best hotel ever !! The bed was a bit small and unstable. 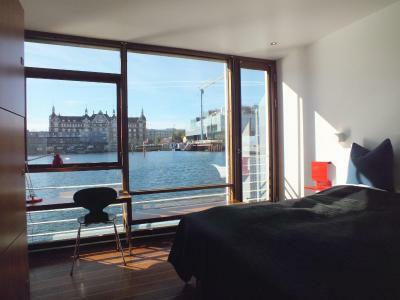 It was so nice to wake up to such a great view and see the swans pass by our window. The location was perfect for everything we had to do in Copenhagen. The feeling and expectations were totally accurate- great experience! The concept is fantastic. 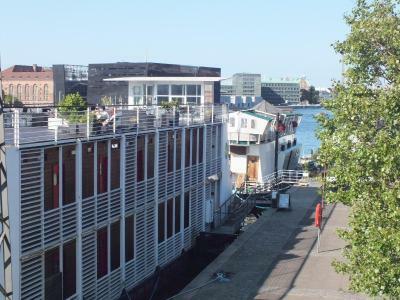 Pictures do not do it justice, absolutely wonderful floating hotel with a gorgeous buffet breakfast included! The staff were extra helpful - minding our luggage on check out, and as the staff would be gone home when we needed to collect it they gave us a key... above and beyond, thank you! It is a really unique place to stay and the location was amazing. Plus stunning views. 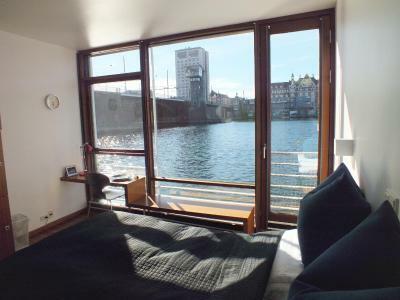 The views are beautiful from the bedrooms and the location is very convenient. Very nice and warm in winter. We arrived around 10pm, as advised no staff at that hour of night but check in was so simple, our room key was left in a safe and we had received a letter with the key code. 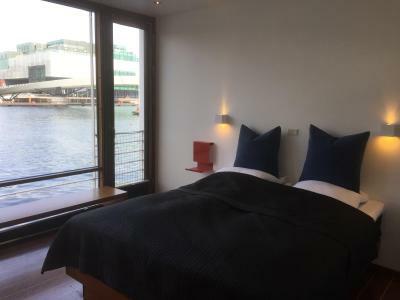 The room was fantastic, so spacious for a boat, one wall completly made of glass, loved the colour scheme, black and white with a splash of red, you could look out on the canal and views of Copenhagen. 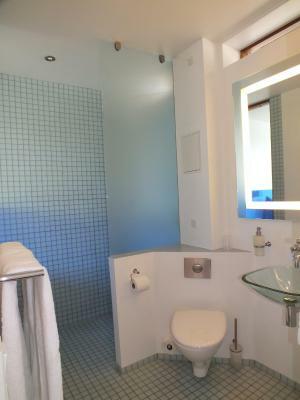 The en suite was surprisingly spacious and bright, there was a window looking out on the canal from the shower. 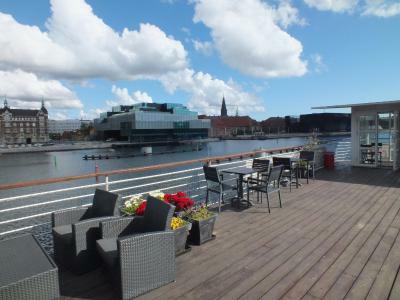 Breakfast - mouth watering croissants and danish pastries and unlimited tea/coffee facilities all included. Henrik was so lovely, chatty and very helpful. I was there with my daughter and we will definitly be back. A little too basic and limited staff input. Great location and cool concept. Perfekt view on the River. We enjoyed it to have our breakfast on the room.